mpNivoSlider: Selected image folder doesn't exists anymore! 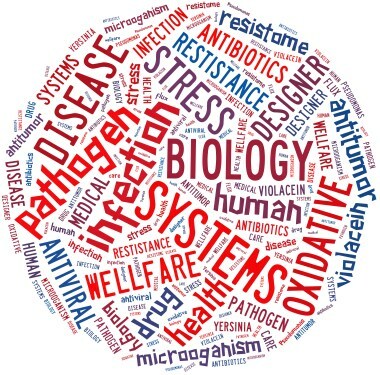 Microbial pathogens are a threat for human health and we face increasing therapeutic problems due to the emergence of multidrug resistant strains. Obviously, these bacteria have evolved a complex, fine-tuned machinery to resist against host defense mechanisms and therapeutic treatments. Here, we take a systems view to understand the life style and the resistance mediating mechanisms of pathogenic bacteria. We study clinical isolates of Yersinia pseudotuberculosis and Pseudomonas aeruginosa, which cause severe infections in humans. Particularly, we are interested to understand the link between metabolism and pathogenic traits towards novel therapeutic strategies. In addition, we flank this research by the development of designer bugs that can synthetize drugs. Particularly, we aim to express complex biosynthetic pathways from eukaryotes that encode for molecules with biological activity, using industrial workhorses such as E. coli as metabolic chassis.